The scientists tested the cells and discovered they can almost be folded in half—wrapped around a radius as small as 1.4 millimeters. 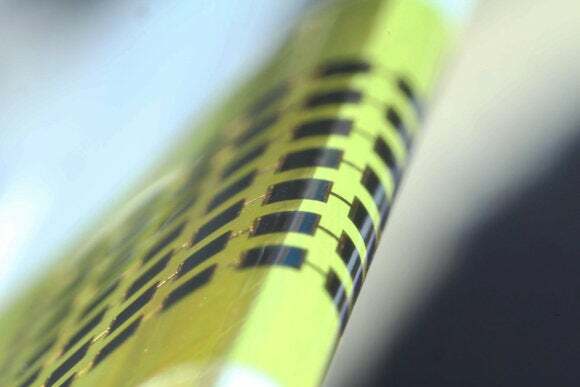 Solar cells are commonly used as power sources in several types of large electronics, but their use on consumer items, such as gadgets and even cars, has been limited. That’s in part because of the smaller area available to mount the cells and the fact that such products often have numerous curved surfaces. The new panels could overcome those limitations.